Abstract non-interference has been introduced as a weakening non-interference which models attackers as abstract interpretations (i.e., static analyzers) of programming language semantics. In this paper we generalize the notion of abstract non-interference to deal with tree-like models of computation. This allows us to widen the scope of abstract non-interference for modeling security properties in automata, timed automata as models of real-time systems, and concurrent systems. We show that well known definitions of non-interference in these models of computation can be viewed as instances of our generalization. 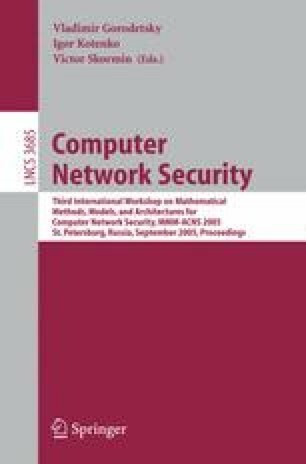 This proves that abstract non-interference can reasonably be considered as a general framework for studying and comparing security properties at different levels of abstraction in both programming languages and systems. Moreover, the most precise harmless attacker of a system is systematically derived by transforming abstract domains, characterizing the security degree of automata and concurrent systems.